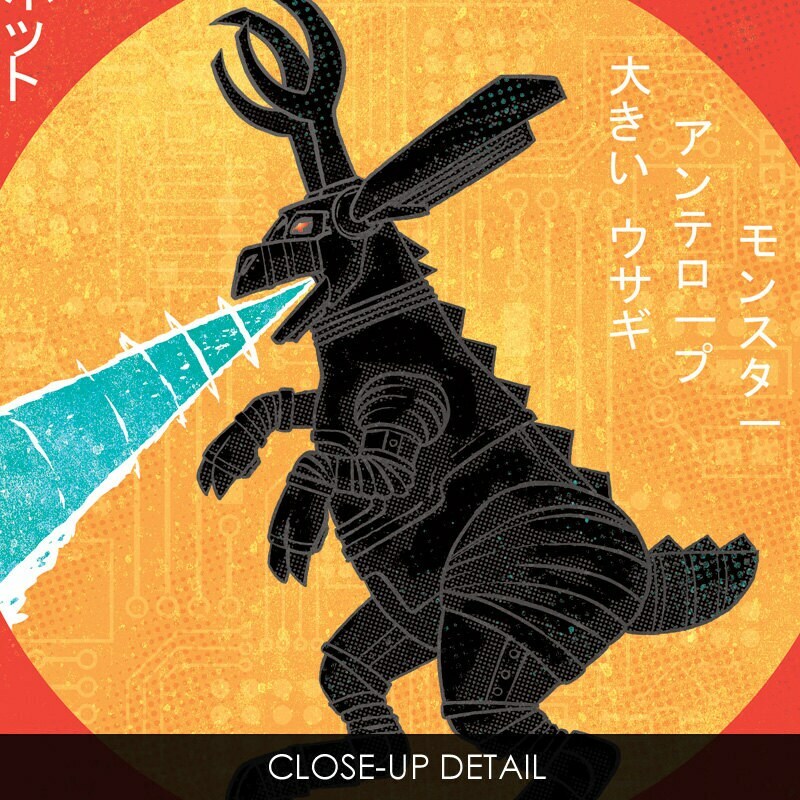 Mecha-Jackalope-Zilla-Tron Art Print by Rob Ozborne. THE STORY: A new mechanical rabbit/antelope monstrosity has arrived! Infused with tech, this giant robot is, well, high tech! And ready to rumble with the Jackalope-Zilla! 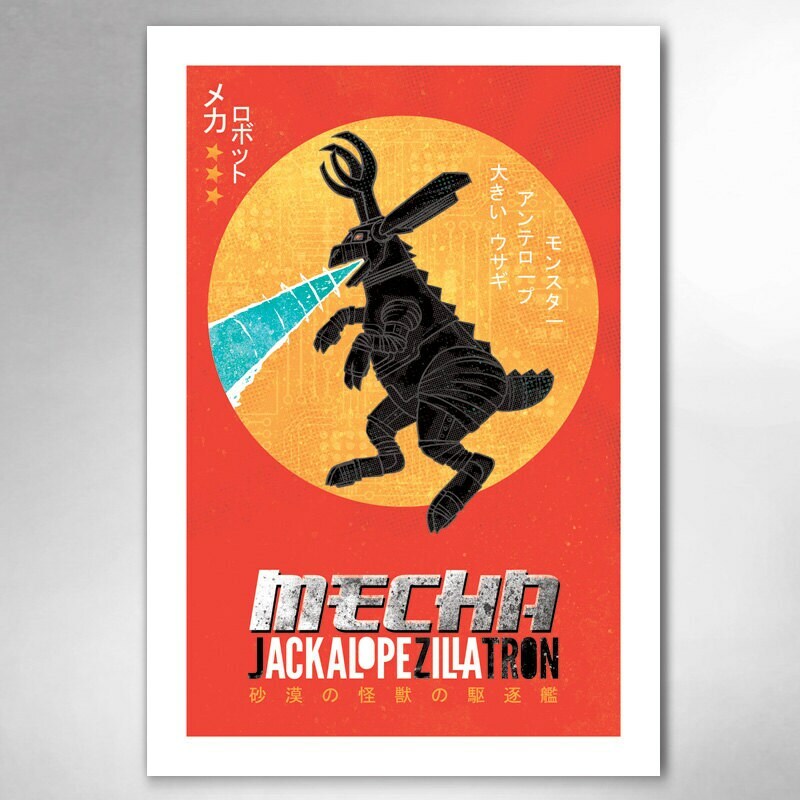 It's Mecha-Jacklope-Zilla!